The terms “online gambling” and “online gaming” have distinct connotations, but they don’t always mean what we think they mean. Gambling is, and always has been, a relative term that relates to risking something of value based on the outcome of some specified event or contest. Gaming can also mean gambling, or something completely different. In its simplest form, online gambling means to place a wager over the internet. With today’s technology, this generally involves logging into an online casino, bingo room, sports book, etc. via a desktop computer or mobile device, such as a smart phone or tablet, then using real money to place a wager. In order to be considered gambling, three specific elements must be present; consideration, chance, and a prize. The consideration, or stake, is money or something else of value offered up by the bettor. The chance refers to the chance that a bettor will win or lose their stake, based on the results of what ever is being gambled on (i.e. chance rather than, or in addition to, an element of skill). The price is, of course, what a bettor stands to win if it the outcome results in his or her favor. In many regions of the world, the term gambling refers to an illegal activity. Such definitions exist in jurisdictions where some (or all) forms of gambling are explicitly prohibited by law. In this case, any legal forms of online gambling will instead be referred to as “online gaming”. Online gambling has existed for more than two decades, dating back to the very first betting websites of the mid-1990s. Online bingo and sports betting came first, with more complex software systems for online casino games (slots, blackjack, video poker, roulette, craps, etc.) appearing in 1998, followed by online poker in 1999. In those days, very few regions had laws on the books to deal with online gambling. Where land-based gambling was illegal, lawmakers argued that online gambling should be prohibited by default. But those laws were ambiguous at best. And because most operators were located offshore, often setting up their headquarters in tax havens like Gibraltar or Antigua and Barbuda, authorities didn’t have jurisdiction to go after them. After a few years, and numerous failed attempts to prosecute online gambling operations, a few global governments got wise. Laws were explicitly passed in regions like the United States, the United Kingdom, and other parts of Europe; some in favor, some not. Today, online gambling exists in most parts of the world, but it is only regulated in Australia, Canada, the UK, Spain, France, Italy, three US states (Delaware, Nevada, and New Jersey), and a few other places. In Australia and Canada, despite the regulation of homegrown, government licensed internet gambling sites, they are still considered “grey markets”. The current laws don’t explicitly prohibit players from accessing international gambling websites, therefore operators continue to accept these players with no threat of legal recourse – just as they did in the early days of Internet gambling. Online gaming can refer to the same online gambling activities described above, so long as they are specifically legal forms of gambling. It can also refer to something completely different, such as online-based PC or console video games that have nothing to do with gambling at all. 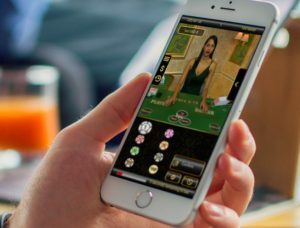 Furthermore, online gaming can refer to social gaming, which is highlighted by the explosion of social networks like Facebook, combined with smartphone technology and a plethora of free-to-play gaming apps. Clash of Clans, Words with Friends, Angry Birds, Candy Crush, these are all perfect examples of social gaming.